Around these parts it’s always the Tres Leche cake or Coconut Cake. 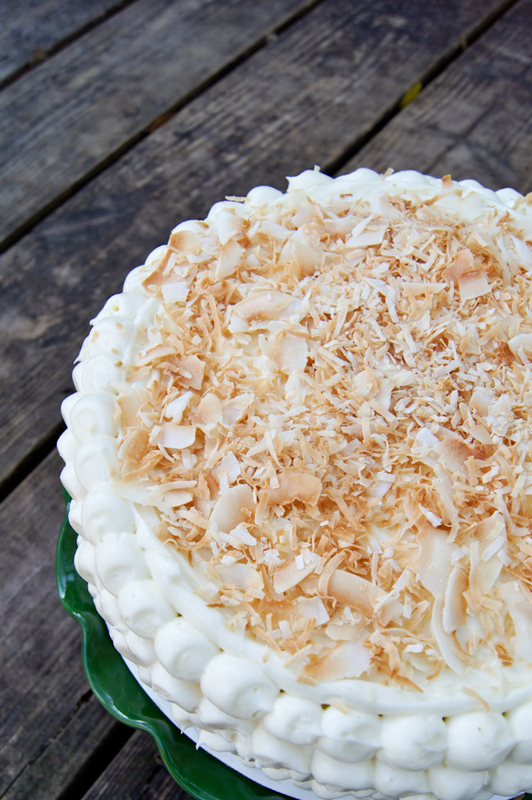 By now all of you know my love affair with everything that is coconut, and this cake is one of my favorites, more so than the before mentioned Tres Leche and I LOVE that cake. I don’t make them often and I think, unconsciously, I reserve them for very special occasions and that is why my family gobbles them up when the show up at special occasions. This past weekend we were celebrating the little man’s birthday, and when I asked him what cake he wanted me to make, I was totally taken by surprise when he requested the coconut cake. I was cautious, since I doubted that this cake was the right flavor that eleven-year olds will go ga-ga over. But, when I told him my concerns and tried to steer him away to a more kid friendly flavor combo, I was quickly told (and I quote) “It’s my birthday, and it’s my cake and if anyone else does not like it, then that means there will be more for me”. Give it to a child to put it in perspective. We were a go.